Ever wondered how profitable DASH loud mining is? If so, then this article about its investment attractiveness is the right place for you. Read on as we investigate DASH’s industry performance, algorithm and price fluctuations as cloud mining profitability indicators. Hashflare and Genesis Mining are two DASH cloud mining providers. We also use other coins available for cloud mining to benchmark ASH against using before-mentioned indicators. The coins used in this guide are Bitcoin, Ethereum, Zcash, Litecoin, and Monero. To close research, we present an available platform where you can purchase cloud mining DASH plans. We also list out investment features that you should be aware of. Being a cryptocurrency, DASH offers open source peer-to-peer blockchain network where users transfer the token using online channels. The coin established itself in 2014 by a developer Evan Duffield, who initiated the Darkcoin group. Initially, DASH held a name XCoin (XCO) which switched to the currently known abbreviation due to the new marketing strategy. The network works through miners and masternods, with latter being users that transfer the coin around the blockchain environment. The nods use a variety of tools with two being the most prominent ones. You have PrivateSend, used for anonymous transfers and InstantSend function, used for speed. The said algorithm of the DASH is built with X11, used for proof of work (PoW) mining. The mining difficulty has seen a sharp increase at the end of the year 2017. This happened mostly due to the increased number of miners and growing value of the coin. 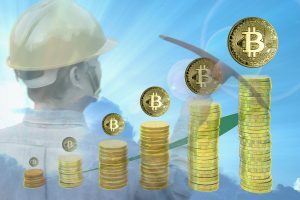 New mining operations opened merely days after the huge bitcoin’s value growth, as DASH followed the suit immediately as well. The said change can be best seen in the picture supplied below. It seems that DASH follows exact pattern as many other coins in terms of value as well. Zcash, Ethereum, Litecoin, and Monero all experienced increase in their prices and DASH is no exception. What’s more, it also followed the decline in January when BTC experienced fall down of its value. This is an important trend to take notice of in terms of cloud mining. It would mean that BTC definitely has a large influence on DASH. If its price goes up, chances are DASH will experience the same, as seen in CoinMarketCap’s chart below. Right now, DASH operates with almost 8 million coins supplied to the market, worth of $4 billion. This is also important to take note of, as less popular coins are likely to get listed off quickly. 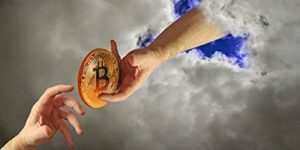 Cloud mining depends on stability and growth and less popular coins are not a good choice to have in terms of cloud mining plans. When designing cloud mining profit calculations, you should take into account certain indicators. 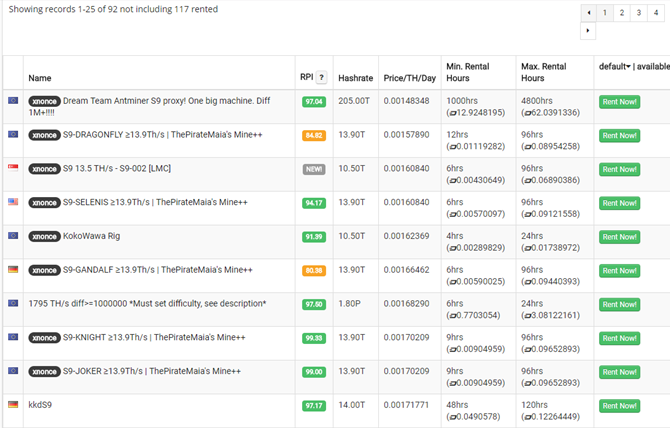 Much like with other coins, mining difficulty, and current price trends are important for your payouts. Coins you receive daily vary in terms of their value and amount. Thus, analysis of the future trends is crucial in terms of DASH cloud mining profitability. Many contracts use several years even at the current value. Thus, you need to be sure you have the right price of the cloud mining plan. The X11 algorithm uses sophisticated mining equipment, similar to BTC and LTC. 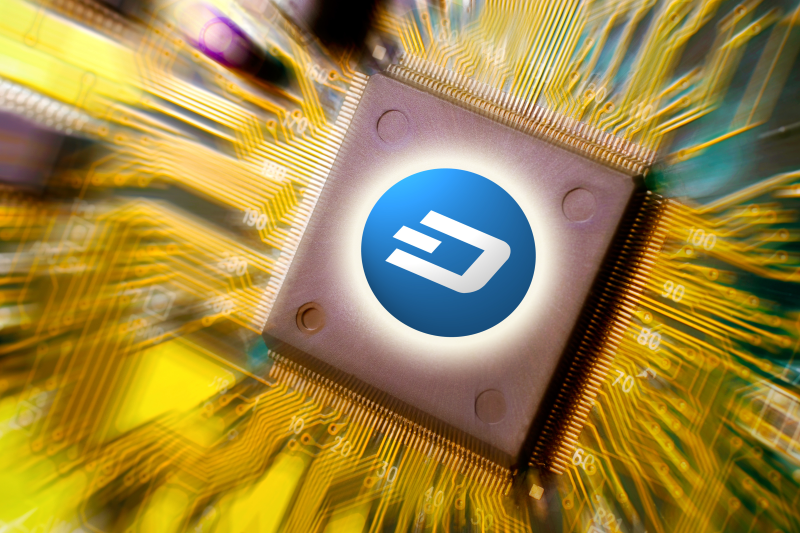 DASH is poised to have increased mining difficulty as its popularity and price grow. This development would mean lower payouts in terms of coins but should also mean higher fiat value as well. Lastly, you should take into account any other expenses, such as maintenance fees if applicable. These are paid out in coins as well, lowering the awarded amount to you on daily basis. In terms of contracts, DASH plans do not really differ that much from its counterparts in cloud mining industry. All crypto cloud mining plans, DASH included, can be purchased with the length of the deal being either fixed or open. 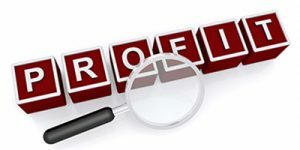 The fixed programs tend to last between a year and three years, depending on the company that provides cloud services. Open deals however are more common in peer-to-peer (P2P) marketplaces, where investors and miners themselves post ads and offers. In these environments, maintenance expenses, prices of the purchased hash powers and other indicators all depend on parties’ agreement. In this section, we briefly go over top cloud mining platforms that offer services regarding DASH investments. We mention important indicators such as contract length, maintenance fees, and costs of plans. Since 2013, Genesis Mining proved to be a stable cloud mining partner for many investors so far. The company uses Iceland’s mining farm to supply its clients with daily coin payments, DASH included. When looking over its cloud mining programs, as with other coins, there are three major plans available, as seen below. 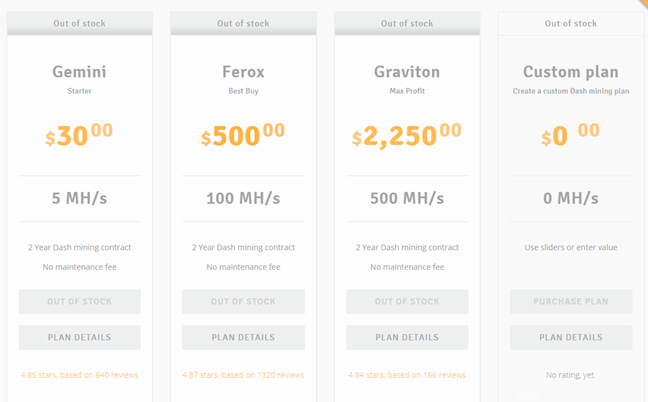 There are no maintenance fees at this moment for DASH cloud mining, while plans last for 2 years. 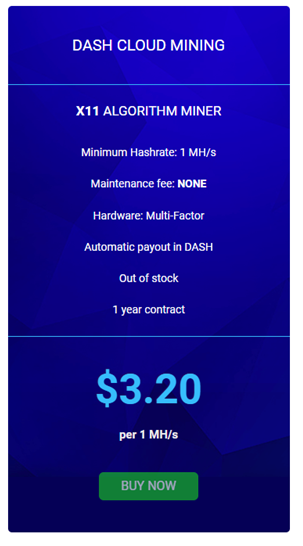 Launched by HashCoins in 2014, this cloud mining service provider offers DASH cloud mining plans for a price of $3.20 for 1 MH/s. The plan is customizable in terms of hash power that you wish to purchase, with the minimum being 1 MH/s. There are no maintenance fees and contracts last for a year. You can check out the plan itself in a snapshot below. 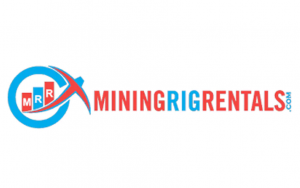 MiningRigRentals was established by a group of crypto cloud mining enthusiasts in 2014. The platform is peer-to-peer (P2P) based, providing a single marketplace for cloud mining parties to engage in fair trade. You have hash power offers to choose from on daily basis regarding DASH. Thus, plan length, hash power, and the price you pay for it differ from miner to miner. Its marketplace can be seen in a picture below this text. In this DASH cloud mining review, we went over the attractiveness of clouding mining DASH token at this time. Much like Litecoin and bitcoin, DASH offers somewhat uncertain yet exciting market to invest in. The issues regarding its difficulty need to be taken into consideration but at least there are no plans similar to Ethereum, where mining would be rendered impossible.